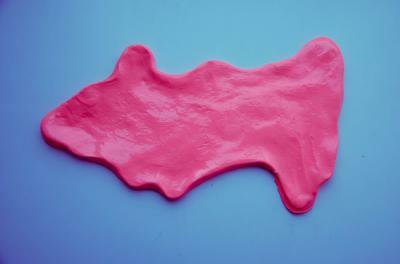 Silly Putty, the stretchy, bouncy compound that children of all ages love to mold, stretch and make into odd shapes came into existence quite by accident. Credit is most typically given to James Wright, an engineer for General Electric, who during WWII was trying to create an inexpensive substitute for synthetic rubber. He mixed boric acid and silicone oil and came up with something even more pliable instead. The substance didn't suit the government's needs, but a few years later, an enterprising businessman recognized its marketing potential as a children's toy. Over time, its popularity soared and Crayola acquired the exclusive manufacturing rights in 1977. Silly Putty was inducted into the National Toy Hall of Fame in 2001. Innovation tends to gain the most traction when the companies behind the ideas are propelled by strong financial partners like banks that can serve their financing needs and provide ongoing business advice, cash management and the like. For banks, the challenge is finding the right kinds of companies to work with from a profitability and risk standpoint. It's an encouraging sign that the economy has been on an upswing. This means that more small businesses are starting to feel confident about their future and are more likely to be in growth mode. Resourceful banks have a significant revenue-generating opportunity as many of these businesses are likely to need help with their expansion efforts. As you are trolling for growth opportunities, you might do well to look beyond your comfort zone and pursue new or innovative industries that haven't been so readily mined by competitors. To get you started, consider a recent article in Inc. Magazine outlining 8 sectors that are considered warm springs of opportunity for entrepreneurs (and perhaps, by extension, their banking partners). In no particular order, these industries are: Fantasy Sports Services, Gamification Services, Relaxation Beverages, Yoga and Pilates, Legal Marijuana, Food E-commerce, Public-Sector Technology and Agricultural Software. The Yoga and Pilates industry, for instance, is estimated to be a $10B-plus industry, according to Inc. Competition is fierce and many would-be new businesses need seed money to help with the significant real estate costs associated with studios. Food e-commerce is also up-and-coming, with more consumers hungry to buy grocery goods online. Healthy, specialty foods are in particular demand, with the overall food and beverage e-commerce market expected to reach more than $9B in revenue by next year. The fantasy sports services industry, meanwhile, is made up of companies that develop software and online platforms for multiplayer fantasy sports. It's been gaining momentum as interest in fantasy sports has increased and broadband and mobile connections have proliferated. According to Inc., it's a roughly $1.4B market, that's benefiting from growing advertising spending and a boost in sports viewership. VC funders have been circling the wagons, but there may also be opportunities for banks to stake a claim with these upstarts. Agricultural software companies could also be promising customers for certain banks, particularly those whose business is steeped in rural areas. It's still a small industry with significant barriers to entry, but the demand exists, meaning it could be a good revenue-generating opportunity for banks that can form solid relationships early on with agricultural software providers. Of course it's prudent to crunch the numbers carefully before pursuing new markets, but you might be pleasantly surprised by the revenue potential you unlock. As James Wright discovered by stretching his imagination so many years ago, you never know what you'll stumble upon until you try and not every accident is silly. Initial jobless came in slighter better than the market had expected, causing Treasury yields to rise 2bps by the close. Yields are currently down 1bp ahead of GDP. 1) Seacoast National Bank ($3.1B, FL) will acquire Grand Bank & Trust of Florida ($208mm, FL) for about $16.2mm in cash and stock or roughly 1.2x tangible book. Re/code reports Google will jump into the payments space with a service that will allow Gmail users to pay bills within email. Looks like PayPal, Apple, Intuit, banks and other financial entities have a bit more payments competition. Wells Fargo said it will terminate 1,142 mortgage servicing employees as it seeks to reduce costs in this area. The CFPB took more aggressive steps to tamp down aggressive payday lending activities by issuing sweeping proposals that would require lenders to ensure borrowers can pay back loans, verify income, verify debts, review credit history, not allow repeated withdrawals from bank accounts, provide affordable repayment options, cap the number of times a borrower can roll over debt, define short term loans as 45 days or less, have a 60-day cooling off period between loans, be no more than $500 in size and other changes. The changes are expected to hit the online lending space immediately, as well as the hundreds of payday lenders that have opened up shop all around the country since bank regulations changed post-crisis. Fed St. Louis President Bullard said in a speech, "now may be a good time to begin normalizing US monetary policy so that it is set appropriately for an improving economy over the next two years." He further stated that current low levels of inflation are probably temporary and that the risks of keeping rates at zero for too long "may be substantial." Meanwhile, Chicago Fed President Evans said in another speech that there is "no compelling reason for us (FOMC) to be in a hurry to tighten financial conditions (until they can be confident that inflation is heading back toward 2%)."